One quarter of the world´s furniture is produced in the EU. In 2012, more than 900,000 EU workers were employed in approximately 126,000 firms, and production amounted to more than €84 Billion. Under this context, the creation of new business models based on circular economy across the furniture sector opens a wide range of new opportunities from a sustainable, economic and social perspective for the furniture and woodworking sector. In December 2015, the European Commission released the EU Action Plan for the Circular Economy (CE), a document that identifies several levers and actions to transit to a CE in Europe. Some initiatives are notably targeting electric and electronic equipment sector, plastic materials and bio-economy, but there is no clear mention of other economic sectors, and notably no action that aims at addressing specifically the furniture sector. Nevertheless, the Remanufacturing Market Study prepared by the European Remanufacturing Network(ERN) points out the furniture sector as a key sector where the implementation of circular economy may be relevant. However, this challenge would require to extend the skills of employees and students willing to focus their careers in these sectors. 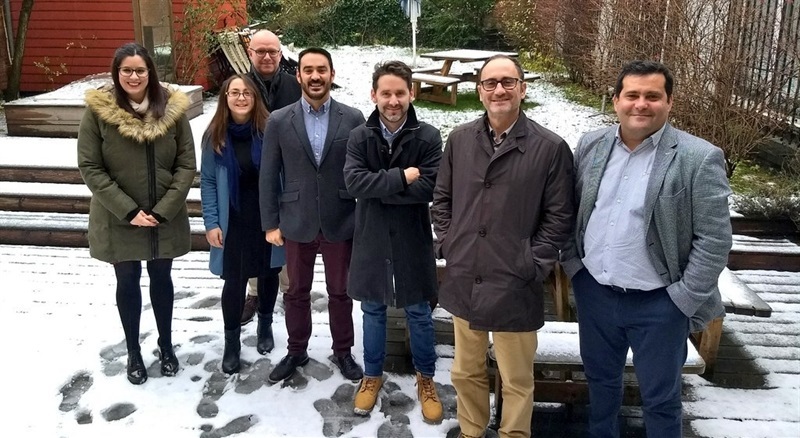 To help in this matter, Erasmus+ project FURN360 has arisen with the goal to develop an European training curriculum and learning contents to implement strategies capable of facilitating the transition from a linear model to a circular model in the habitat sector. The project consortium is formed by six associations from Belgium, Germany, Spain and Finland: EcoRes, a consultancy specialized in sustainability applied to organizations and territories who hosted the kick-off meeting in Brussels on December 11th and who is coordinating the project, the Innovative Business Association of Furniture Manufacturers of the Region of Murcia (AMUEBLA), the University of Vaasa, the Furniture Cluster and Innovation Habitat Center (CENFIM), the Karlsruhe Institute of Technology (KIT) and the Technological Centre of Furniture and Wood of the Region of Murcia (CETEM). At the end of the project, one multiplier event at each participant country will be carried out in the format of national conferences, seminars or events aiming at sharing and disseminating the intellectual results realized by the project.